The first formula I really enjoy for this kind of makeup is from YSL - my YSL Couture Highlighters in 01 Perle and 03 Bronze* | £32 each. This has a beautiful sheeny finish and what I really like is that these don't emphasise texture. A lot of people with mature skin understandably don't like to use highlighter, as it can 'highlight' imperfections, however I think this formula is worth a look because it's nice and subtle once applied. I have two shades here: 01 Perle (a classic warm champagne) and 03 Bronze (a deeper golden-bronze). They also do a gorgeous rosy colour, that's more like a blusher on me, but would look really beautiful on a deeper skin tone than mine. 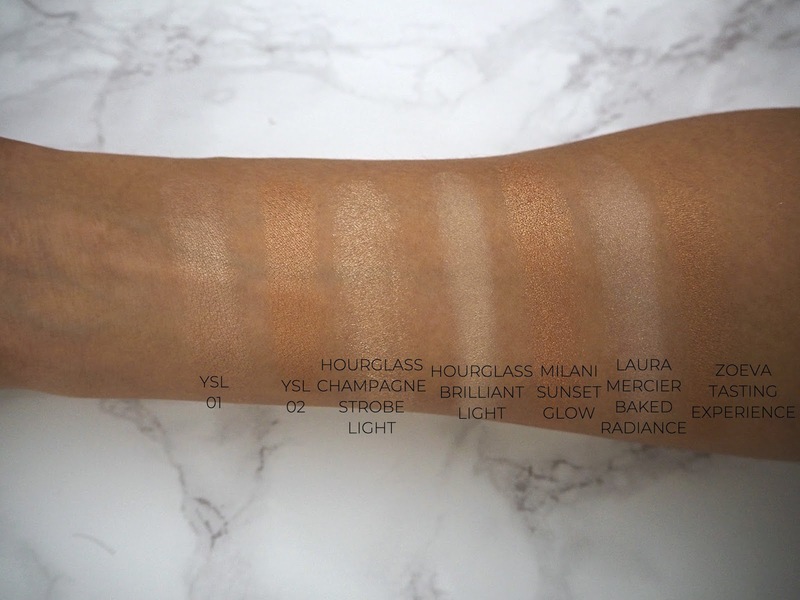 Hourglass also do some beautiful highlighters for a softer look. 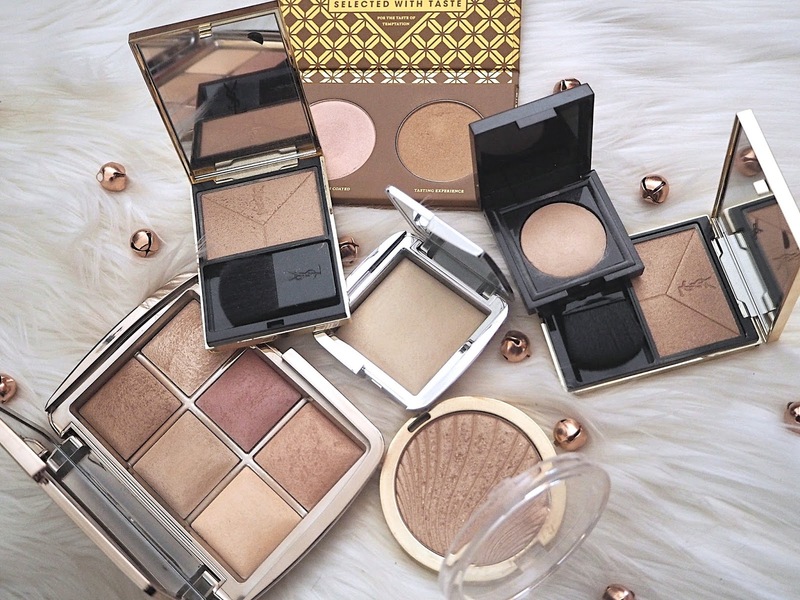 The first one I'll talk about is the shade Champagne Strobe Light from my Hourglass Ambient Lighting Unlocked Edit Palette | £69 (discontinued). I don't think this palette is coming back but Hourglass usually debut new formulas in their Limited Edition palettes and then release them as singles, so keep an eye out! This is Hourglass's more glitzy formula but - as you can see - this light champagne colour has quite a natural look on the skin. I also like their original formula for something even softer - the Hourglass Ambient Strobe Lighting Powder | £35. I have this in Brilliant Light - a very light warm vanilla. It doesn't contain any shimmer - it's a sort of luminous matte formula that's quite unusual within my collection. I also love my Milani Strobelight Instant Glow Powder* | £13. I have a couple of these and they do a bunch of shades to cover off most skin tones. The shade I have here is Sunset Glow; a sort of warm bronzed amber colour. This is definitely one of the more pigmented formulas in this post but it's still got that soft metallic look to it, as opposed to being obviously shimmering. 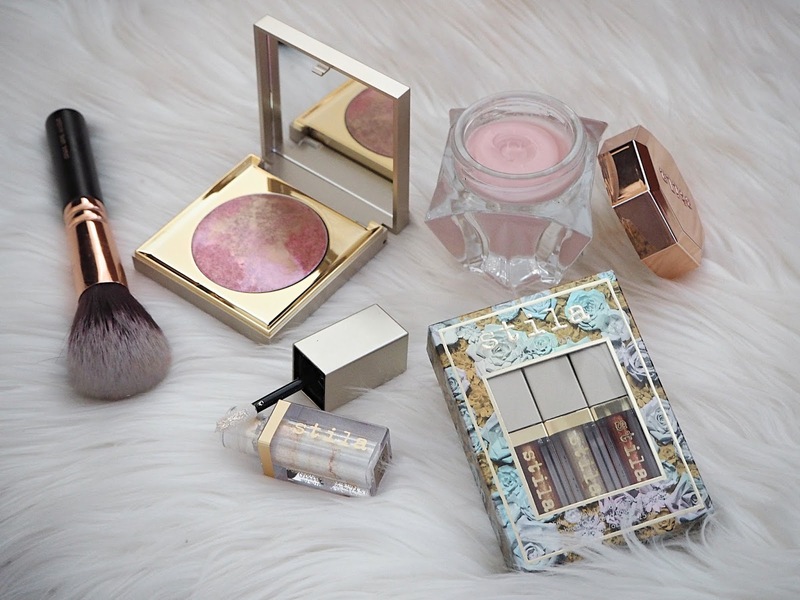 I use these highlighters a lot for work days, so they're definitely worth checking out if you want something a little less in-your-face than a formula like Becca's or Anastasia's. Baked highlighters are also a great way to get a more natural look. I have a mini here of the Laura Mercier Matte Radiance Baked Powder | £28.50 (full size). This is the most matte highlighter in my collection, so if you don't usually go for highlighter because you don't like shimmer; give this a go. I have one caveat though; it only really comes in this light vanilla tone that I don't think will be great for deeper skin tones. I've tried a few Zoeva highlighters in various palettes now and they have such a lovely finish. 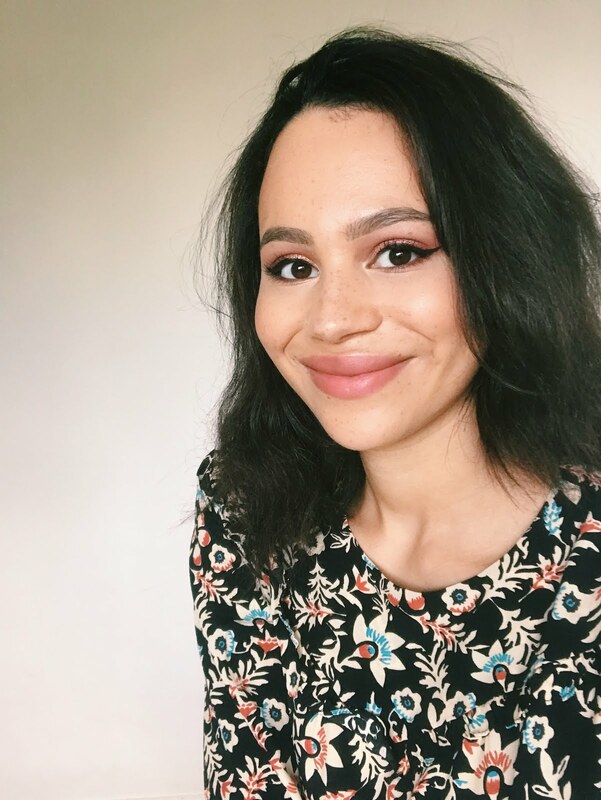 Here I have Tasting Experience from the Caramel Melange Highlighter Palette* | £11.50. It definitely has more of a shimmer to it than some of the products in this post, but still has a softer, more natural look on the skin. It's a lovely warm bronze-toned gold. Do you ever go for a soft highlighter look?